Three Sisters Farm is a USDA certified organic farm located in the Pinckney Colony Community of Bluffton, South Carolina. Yes, Three Sisters Organic Farm is in fact owned and operated by three sisters. 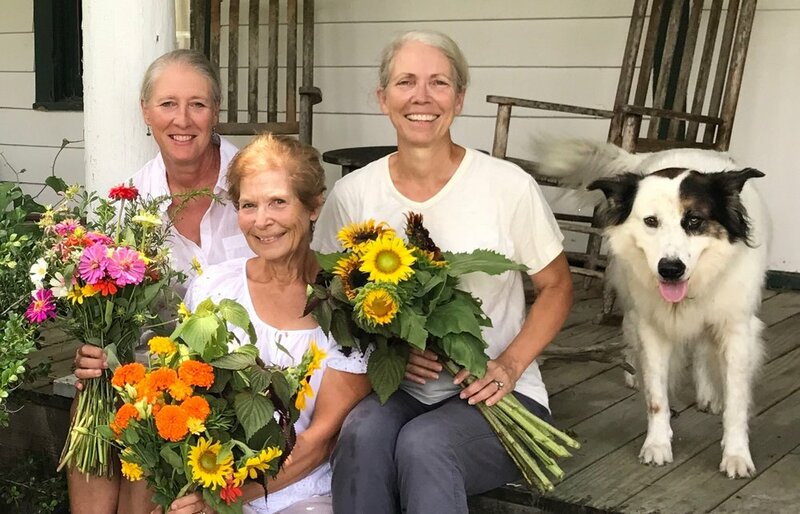 Beth Lee, Mary Connor, and Priscilla Coleman grew up on the farm and while they share the bond of sisterhood, they also share a commitment to preserving this land, protecting the environment, and cultivating products of the highest quality for the surrounding community. At the farm, we grow a wide variety of certified organic vegetables, berries, herbs, flowers, sugarcane, indigo and mushrooms. We also maintain a small flock of pastured laying hens. Our products are available to the general public through our CSA subscription program and at local farmers markets. We also sell our products to a few select restaurants in our area. The farm itself has been owned and continuously farmed by our family since 1848. The community of Pinckney Colony is one of the oldest in the Bluffton area and remains one of the few rural areas in southern Beaufort County, South Carolina.